Australia’s Essential Media Group (EMG) has appointed the founder of fellow prodco Gordian Media as its general manager and exec producer. Brendan Dahill will help steer EMG’s operations in Australia and New Zealand, having arrived from Gordian, the production company he launched last year and which recently became a joint venture between NBCUniversal and Matchbox Pictures. 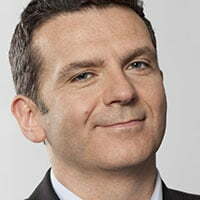 His role will include overseeing scripted and factual production and he will report to EMG CEO Chris Hilton. Dahill has extensive experience in the Australian TV landscape, having previously served as MD at indie Keo Films’ local office. There he steered War on Waste for pubcaster the ABC, the highest-rated series among under-50s in 2017. Prior to that, he spent seven years at the ABC, holding a range of senior positions including head of non-scripted productions, head of network programming and channel controller of ABC1. He has also served as director of television at BBC Studios Australia (fka BBC Worldwide Australasia) and has worked at the BBC, ITV and UKTV in the UK and Discovery Channel Europe. Dahill’s appointment comes during a period of flux for EMG. In May, the firm re-activated its drama arm under the banner Essential Scripted, having previously sold its scripted operations to Fremantle in November 2017. EMG is an international content company that was formed by the merger of two leading independent production companies and joint venture partners – Essential Media and Entertainment and Quail Entertainment. Acquired by Kew Media in July 2018 for an initial A$32.8m (US$24.7m), EMG has offices in Los Angeles, Dallas Fort-Worth, and Sydney. “With his boundless energy, deep knowledge of content and extensive network of friends in the industry Brendan’s a great addition to our team,” said Hilton.